As you undertake a new web project, you must brace yourself for making a few critical yet challenging decisions upon which the success of your project may completely rely. One such decision is which technology to base your web application project on – Ruby on Rails, PHP, WordPress or any other. The tech-stack of your project is important since it is going to be the tools that will lay down the foundation of the continued success of your business. With an extensive experience working with a wide range of languages and frameworks, we can safely say that while using a wrong tech-stack can prove to be a major set-back for any business as it may not only be costlier and less efficient but risky too for the success of a business, opting for a well-suited one can put a major impetus to scaling and growing your business. 1) Nature of the application: Before you decide the tech-stack for your project, you should ask yourself what kind of an application your business needs. Once you have decided what exactly needs to be made, you get a lot of clarity on ‘how’ to make it. Target Audience/User demography: The demography of your user-base matters in the sense that when you know about their comfort level with technology and modes of accessing internet, you are better equipped to cater to them with the right technological solution – whether it is a mobile or a web application. Project Timeline: If you are running on a tight rope with respect to time and other resources and you need a quick time-to-market, you must be looking to use the technologies such as Ruby on Rails or WordPress that would impart shorter turn-around-time to your project. 2) The stage of your business: The size and stage of your business has huge implications in terms of your budget, revenue model, brand presentation and much more. Right at the beginning of your business, when your code is almost disposable, it is usually preferred to use relatively easier of the tools such as WordPress or PHP. 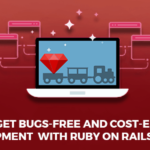 If your product concept is already proven the form of a prototype and you need a solid base to build up on while still in the growth phase of your business, you can very well consider Ruby on Rails for your project. If you’re in a stage of your business where your product is at least market-proven, it is likely that you have built it on some basic technology so far. To fulfill your need for adding additional new features at a faster pace, you might want to consider switching to a more sophisticated framework like Ruby on Rails where while your need for scalability and flexibility are addressed, this framework is not as beefy as to make the entire exercise beyond your budget and timeline. 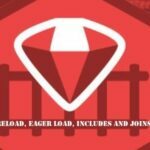 If you need ample flexibility with your code to play around with the secondary features as much as you’d like to do so, Rails can well be your choice of technology. By valuating what kind of user experience you wish to deliver to your audience with your application and what kind of a business you wish to set up, you have successfully shortlisted a few potential technologies. Before we arrive at a final decision, here’s a list of questions to ask about the tool you would be finally using for your app. Is its documentation exhaustive enough? Is it well supported by an active community around it? How quickly does this framework keep on getting updated? How easy is it to test the application based on it? How easy or difficult is it to hire developers to work on this technology? How easy is it to learn it & ramp up? What unique need of your application does this technology alone can satisfy? Right from starting to the execution of a tech business, there are many business-critical decisions that you get to make which can totally make or break the deal for you. Choosing your technology stack for your app is definitely one of these. We hope that following the strategic approach we have discussed in this post helps you go ahead in the right direction while choosing your app’s tech-stack. 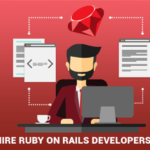 Why to Hire Ruby on Rails Developers in 2019? 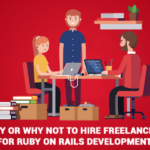 Why or why not to hire freelancers for Ruby on Rails Development? 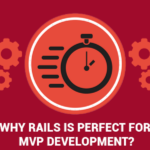 What makes Ruby on Rails perfect for developing the MVP for your business?